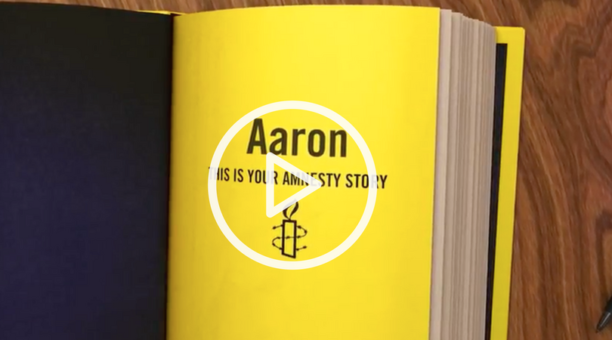 Amnesty International is the first non-profit to utilise Data Creative’s personalised video technology, launching an engagement campaign to showcase members what their funds have helped achieved. Created for active members, recently reactivated members and lapsed members, the campaign was segmented into three categories and featured six different humanitarian campaigns spanning from pre 2006 to 2016. 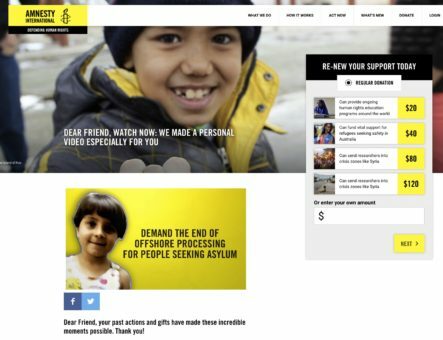 The personalised messages were sent via email and were a general thank you to members for their support by showing them what they have helped Amnesty International achieve. Each member received three hand picked stories in their personalised email, with a total of 62,000 unique videos generated. Amnesty International Donor Loyalty & Retention Coordinator Mila Styran said that Data Creative were able to help them attain outstanding improvements from their previous eDM campaigns by taking a personalised approach. “We were able to achieve a significant improvement in results by using personalised and dynamic video content, ” said Mila. Previous open rates for Amnesty International emails were around 27% but Data Creative’s personalised strategy saw this number grow to a massive 70%. Mila explains that working alongside an cutting edge company such as Data Creative is a rare and valuable opportunity for charities. CEO and Founder of Data Creative Renece Brewster said the campaign is one of the team’s favourite to date due to the fact it wasn’t a consumerism-focused campaign. “The campaign was Amnesty International’s way of saying thank you to its members for their ongoing support, and to share what they’ve been able to achieve together,” she said. Mila also said that the campaign proved to be both enjoyable and popular among supporters. “Not only was it an interesting and fun project to work on, but it also received positive feedback from Amnesty staff and most importantly, from our supporters who enjoyed their own personalised videos,” said Mila.